Umbro's Vasco Soccer Ball is a great choice for fans and admirers of the team to hone their skills in soccer practice on the natural ground. The piece is made of TPU with 32 machine-sewn buds, providing softness and a better touch of the ball. More info. 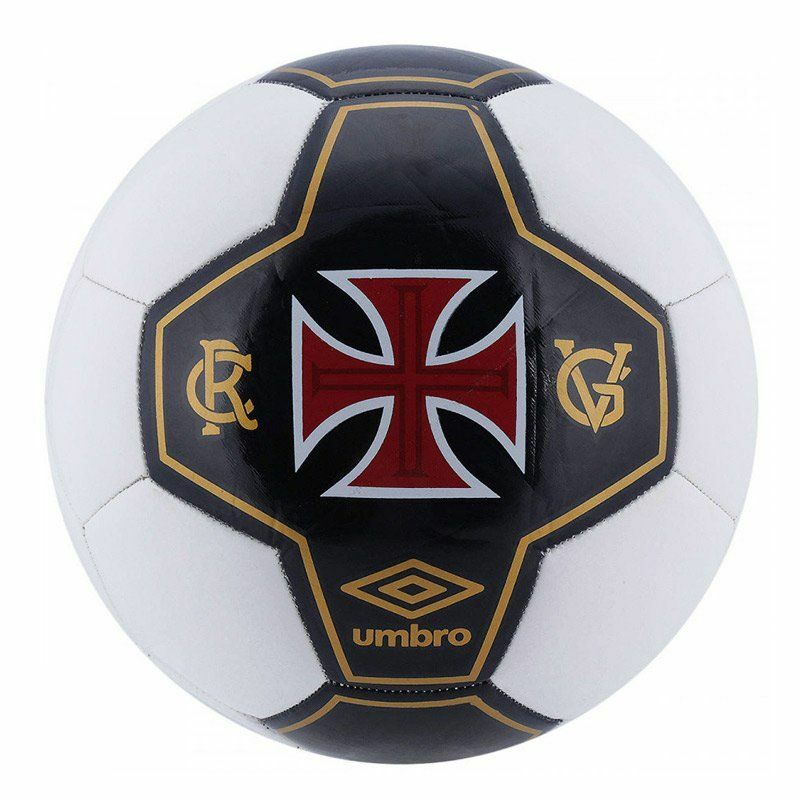 Umbro's Vasco Soccer Ball is a great choice for fans and admirers of the team to hone their skills in soccer practice on the natural ground. The piece is made of TPU with 32 machine-sewn buds, providing softness and a better touch of the ball. Its design is predominantly white with black and gold cutouts, highlighting the team's badge and the Umbro logo. It also has butyl chamber for better air retention and brings removable and lubricated core. Get it now!